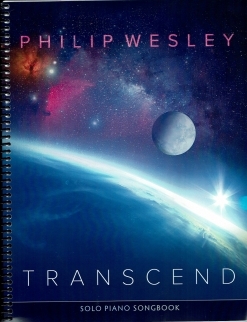 Transcend is the companion songbook to Philip Wesley’s 2014 solo piano album by the same name. All thirteen pieces are included, transcribed note-for-note to the recording. The notation is clear, roomy, and easy to read. 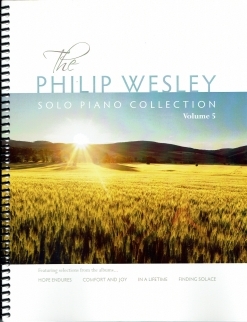 Pedaling suggestions, expression and dynamics as well as metronome settings are all included, making it easier for the pianist to match the recordings as closely as possible. The paper stock is a bright white medium-weight and the book is spiral-bound, ensuring many years of playing enjoyment. The front and back covers are full-color versions of the beautiful recorded album artwork. Most of the pieces are on the slower side, and most of the rhythms are fairly straight-forward. I don’t remember any reaches of more than an octave, although most of the piano gets utilized. The last piece in the book, “Echoes Through Eternity,” requires reverb and delay to match the recording, but is still a very beautiful and enjoyable piece to play without the special effects. Pianists at an upper-intermediate and early-advanced playing level should find most of these pieces fairly easy to master. 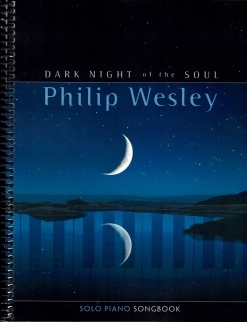 I really enjoyed playing this songbook cover to cover and recommend it to pianists of all ages who enjoy the expressive and very popular music of Philip Wesley. 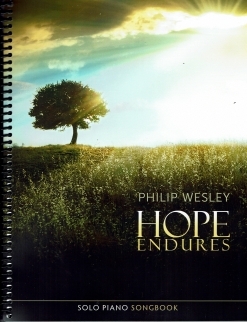 It is currently available exclusively from www.PhilipWesley.com.